At Samurai Juku we want to introduce you to a small aspect of Japanese history and the culture of the samurai. With a shared love of Japanese culture, we will do our best to make you feel at home in our beautiful machiya house, and give you an experience of a lifetime. Despite having lived in Japan for many years, Dale is constantly surprised at the depth and beauty of Japanese culture. So much to learn, but so little time. He spends his time programming and making Japanese armour. 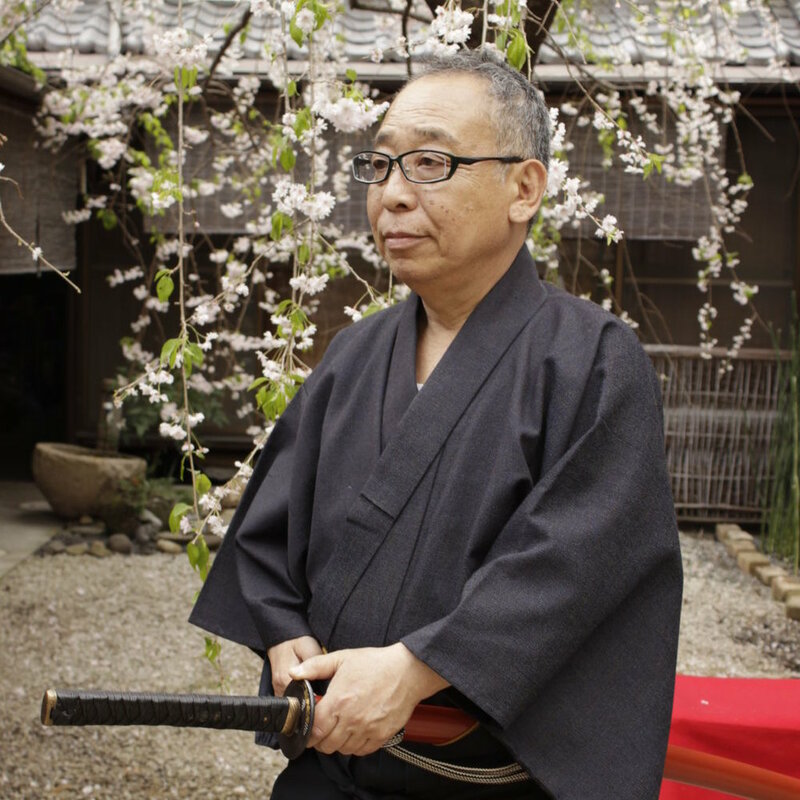 Coming from a 500-year-old samurai family, he has practiced the art of Japanese swordplay all his life. Through a lifetime of study, he has attained the honoured title of "renshi," which is far above black-belt level, and won many awards at the highest competitions in Japan. With a background in cultural anthropology and a passion for Japanese history, temples, and art, Chihiro loves sharing her culture with people from all over the world. In her free time, she enjoys travelling and watching Czech movies. The samurai were a warrior caste in ancient Japan. For over 1000 years they served as soldiers, bodyguards, and peacekeepers. While they were official disbanded around 150 years ago, their skills, customs, and philosophy live on in modern society by people dedicated to keeping their legacy alive. Katana is the Japanese word for "sword." They have a relatively thin, single-edge, curved blade. Bushidō (lit: "way of the samurai") is the code of ethics of the samurai, very similar to the code of chivalry that European knights lived by. There are eight spiritual and philosophical elements, or virtues, to it: Righteousness, Courage, Compassion, Respect, Integrity, Honour, and Loyalty. Iaidō is the Japanese martial art of drawing and wielding a sword. Originally, it was the practice of drawing a sword at speed from sitting when attacked unexpectedly, but it has evolved into a complete martial art. Samurai were trained in all aspects of combat.